During the Monaco Yacht Show (MYS), leading inflatable yacht toy designer FunAir will be giving away a GoPro action camera to one lucky crewmember. Known for their adrenaline pumping, inflatable yacht slides, climbing walls and leaps of faith, FunAir wants to encourage captains and crew to test their products and capture the fun on camera. For a chance to win the GoPro, just visit FunAir at one of their hotspots around the show. 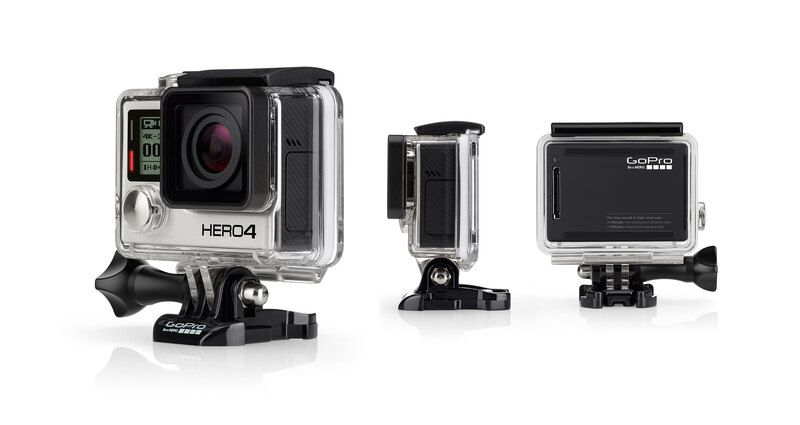 The GoPro will be given away to one lucky yacht on Saturday 26th September. You can find members of the FunAir team at three key locations. 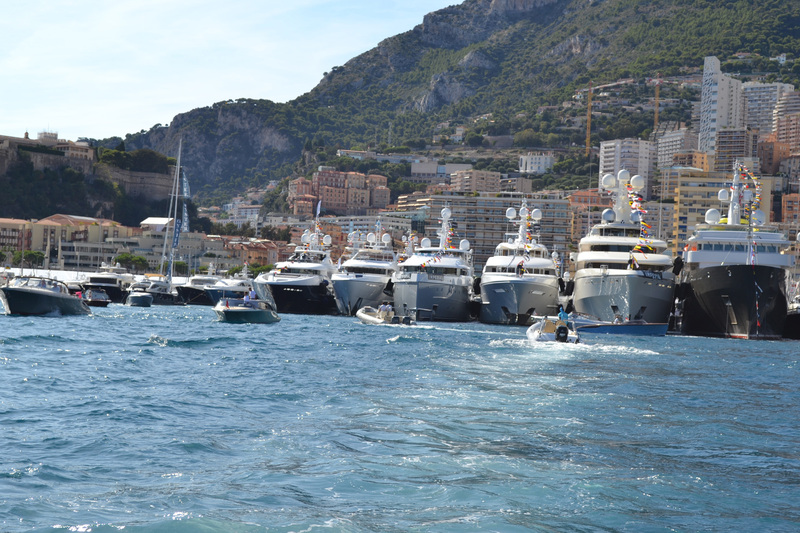 They will be in the Captain and Crew Lounge, the terrace at Stars n’ Bars and at the on water display area outside the Monaco Yacht Club. To meet the team and find out more about FunAir’s portfolio, email yachting@funair.com or call +1 512-593-5133 to arrange an appointment. 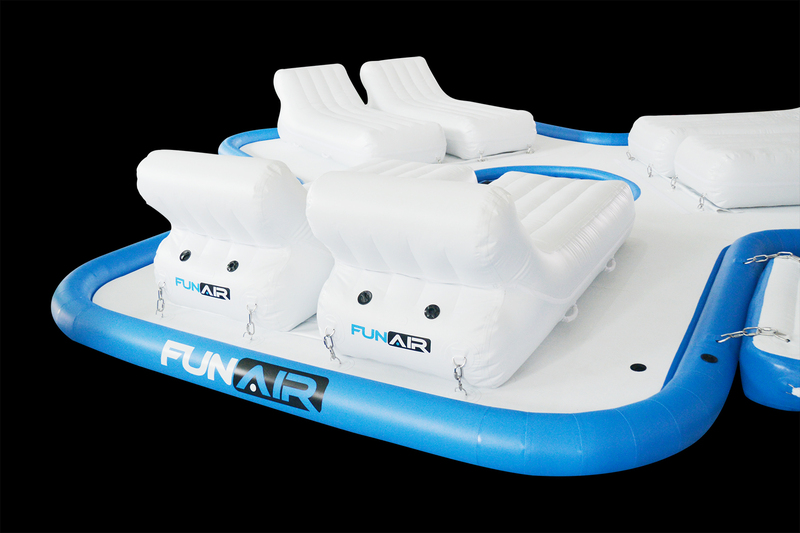 Sponsor of Monaco Yacht Show Captain and Crew Lounge, FunAir will launch the ultimate superyacht accessory for owners and guests at the Monaco Yacht Show this year: the Floating Island. And as the name suggests, there’s plenty of relaxation to be had. Never satisfied with the status quo, the launch of the Floating Island at the Monaco Yacht Show 2015 provides ample space for three or more guests to float safely and comfortably on the ocean. 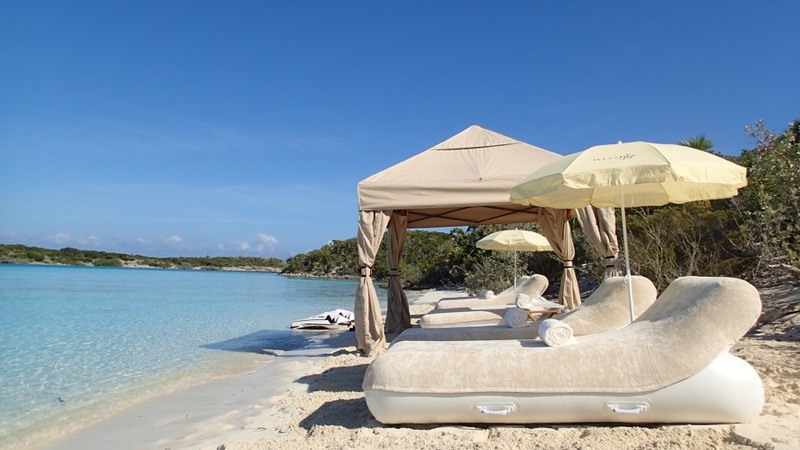 This innovative, inflatable Floating Island provides guests with yet another way to enjoy their exclusive lifestyle. Features include, ergonomically designed Chaise Loungers which can be removed for beach use, side tables, dipping pool, and a stable floor to allow guests to relax together. FunAir continues the trend of innovation with the addition of Jet Ski Docks and SeaStairs – which allow for an easy and graceful way to get in and out of the ocean. 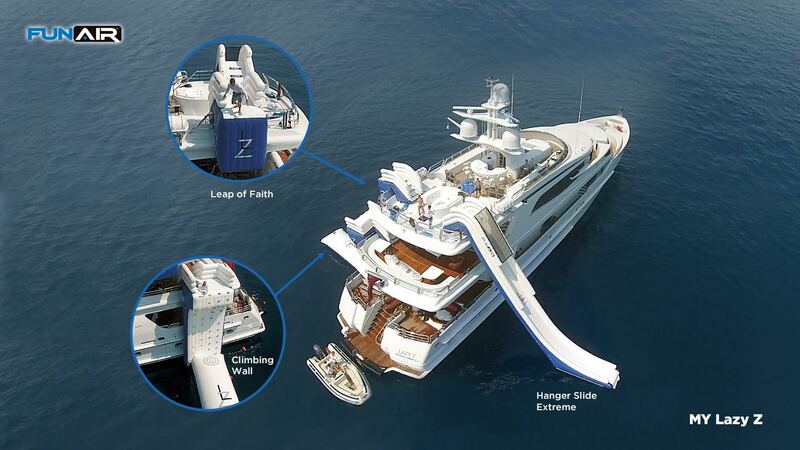 These luxurious yacht extensions add an extra dose of fun to an already indelible experience. To meet the team and find out more about FunAir’s portfolio, or to see the Floating Island at the in water display area at Monaco Yacht show, email yachting@funair.com or call +1 512-593-5133 to arrange an appointment. FunAir’s Yacht specialist John Courtney will be attending Cannes Yachting Festival to talk with captains and crew about inflatable water toys. Usually associated with custom, adrenaline pumping yachts toys such as super sized climbing walls and extreme hanger slides, FunAir products also have some handy features that save time and effort for captains and crew. Usability is high on the priority list for any captain and crewmember when thinking about their next inflatable purchase. Innovative company FunAir has several products that significantly reduce the crew’s time and effort during deployment, and packing down their inflatable yacht toys. One such gadget that every captain needs on board is the FunAir RapidFlate. This patented product will inflate a standard inflatable climbing wall or yacht slide 6 times faster than any other product on the market. During this year’s Cannes Yachting Festival John Courtney, Yacht Specialist at FunAir will be meeting with crew to get more usability feedback and help captains, owners and crew to make the most of their inflatable yacht toys. He has also teamed up with Yachting Pages Media Group who are giving away prizes to crew during the show. Throughout Cannes Yachting Festival, Yachting Pages Media Group will be inviting captains and crew to visit their stand in the Palais Des Festival to enter a prize draw to win a set of North Face Luggage donated by FunAir. With free massage and drinks also available on the Yachting Pages stand (Palais 0015), all crew have to do is stop by and drop off a business card or contact details. The set of luggage will then be given away on the last day of the show the show to a lucky crewmember. To enter the competition, go to stand Palais 0015 and speak to a member of the Yachting Pages team. Why not sit back, have a massage and grab a drink while you are there? You can find John at the show at the Yachting Pages stand Palais 0015, or alternatively email yachting@FunAir.com or call +1 512-593-5133 to arrange an appointment. To find out more visit www.FunAir.com, email yachting@funair.com or call +1 512-593-5133 to speak with John directly. TNS Yachting is a boutique yacht supply company run by two ex yachties out of Fort Lauderdale, Florida. 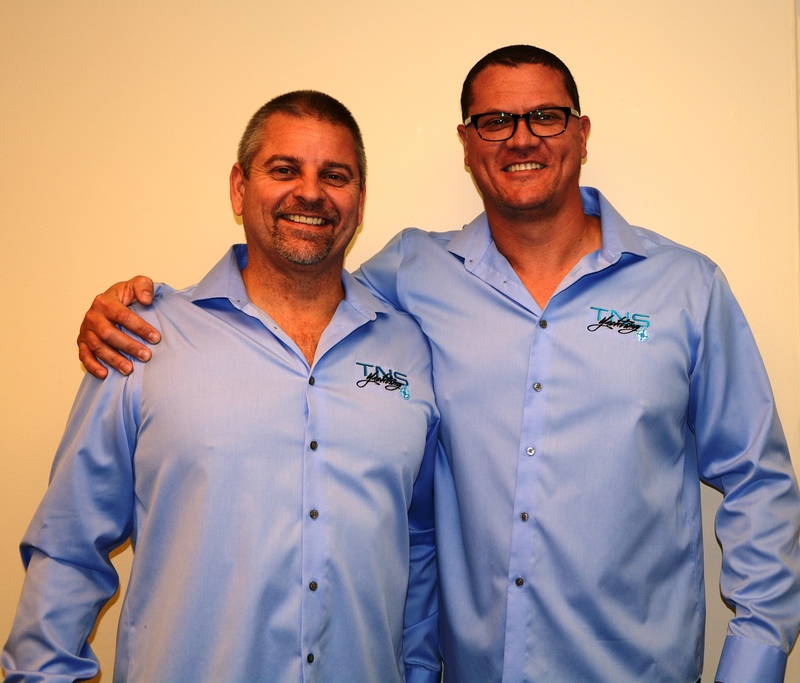 Ex Chief Engineers Rob Batistic and Justin Grubb have over 50 years experience between then and joined forces in 2014 to found a yacht supply service with a more personal customer service approach. Rob Batistic met Sarrah Macey, Director at Global Superyacht Marketing at the Fort Lauderdale International Boat Show last year when she was working for a large superyacht corporation. When Rob heard that she has started a new business he got in touch. TNS Yachting is a boutique yacht supply company offering world-wide yacht support. Their goal is simply to be your best supply and support asset. With in-house knowledge and first-hand experience, they are able to get the job done, on time, and at a fair price. Clients know they can depend on the dedicated, dynamic sales and supply team to meet any and all of their needs, from seasonal supplies, to complete support for a new build or refit. They supply and source it all! FunAir design and manufacture inflatable yacht toys for superyachts globally. 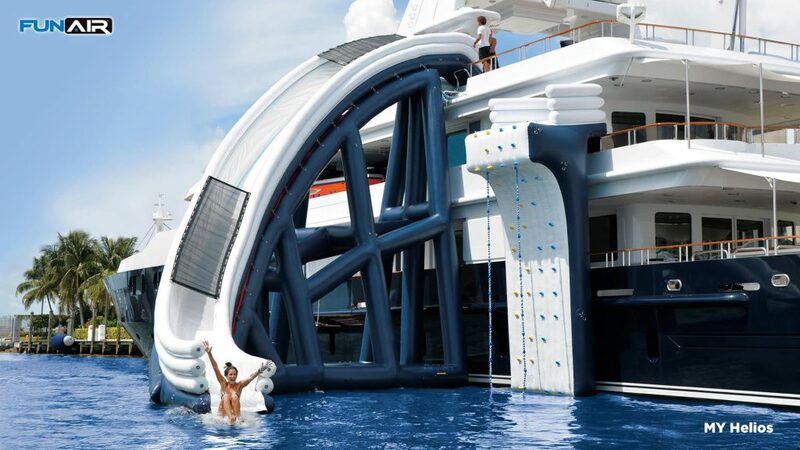 Founded in 2013 the company has quickly become the market leader for Yacht Slides, Climbing Walls, Sea Pools, Jet Ski Docks and all manor of custom inflatable toys. FunAir is the leader in new and exciting inflatable toys for megayachts, homes, resorts, camps, schools, event, festivals and community groups. They can produce fully customised inflatables in the yachts colours and with their logo if required. Customer service is at the heart of their company vision and the team are truly some of the nicest people you will meet in the industry. Global Superyacht Marketing is a brand new service that will provide businesses with global marketing support and unrivalled market intelligence. Founded by commercial marketing expert Sarrah Macey, this bespoke service will connect companies directly with captains, crew and superyacht owners. From spending an hour offering advice on what direction your company should take, through to managing your full marketing portfolio, Global Superyacht Marketing is here to help the superyacht industry connect with each other.